SLS88: Are We In A Podcasting Bubble? - Are we in a Podcasting Bubble? - Should Ads in Downloadable Podcasts always be “Host Reads”? When you find a new favorite, you want to be able to listen to it any time. That’s why we’ve just introduced a new Favorites section, as well as notifications about those favorites, to Spreaker Podcast Radio for iOS, so that you can always keep tabs on them. It’s a personalized element to your listening experience, and is another step closer to matching up our iOS experience to what’s currently available for Android. Adding podcasts to the Favorites section requires just a tap; whenever you run into a podcast you fall head over heels for, simply tap on the star icon on its main page view. Alternatively, if you’re just meandering through the Explore section and find something you like, tap on the the More icon (the three dots), and select Favorite. Everything you’ve starred or favorited will be in the Favorites section, all accessible at the drop of a dime. Once you’ve built up your Favorites section, you’ll start receiving notifications every time a new episode or live stream from those favorite podcasts has been released. Tap on the bell icon at the top of the app to get a full listing of those updates, or just rely on the notifications that appear on your phone’s lock screen. Forget the keywords and the searches, you can get to your favorite podcasts in seconds with our new Favorites section and notifications. 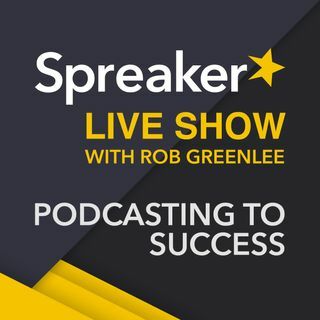 It’s podcast listening tailored to your ears, and there’s more where that came from coming up for Spreaker Podcast Radio for iOS. Download or update Spreaker Podcast Radio for iOS now, and let us know what you think about the new features! I've been using the new cms since beta and have loved seeing the bits and pieces slowly adding into it each week. It really makes the whole process of getting an episode published more streamlined. Yes, I'm enjoying this new CMS. Publishing my podcast via Android. New CMS is super simple to use. Great addition to Spreaker and it is "INCLUDED" in the product and not an additional fee-based add on service. This company continues to show how great it is. I've used the chapter function already. Very cool stuff. I'm excited to hear about monetization. - In the past few years, podcasting has steadily grown after a spike in attention around Comedy and then Serial. We are seeing plenty of interest in areas of investment of publishers both new and old. Certainly more high quality audio production exist today public radio type of productions has expanded beyond NPR to the commercial/start-up side has been growing for many years now. - “I am Too Busy to Listen to very many Podcasts” is a common comment that I hear from podcasting folks and those who are not podcasters themselves. This will hold the space back, but not everyone can watch all TV shows on the TV entertainment side too. - I hear podcasting industry folks say that only 150 high-quality shows exist out there from top-tier publishers. That things can only improve “there’s not too much content” I agree and do continue to think the best days are ahead. I just don’t agree that only 150 or so high-quality shows exist now. Just because a show gets a huge audience is not a clear indicator of a quality show. “Quality Show” is a very subjective opinion as everyone will have a different opinion on what a quality show is for them the listener. - Dynamic ad insertion using data driven audience targeting is growing in podcasting. Dynamic Ad Insertion is like giving a loaded gun to a child, it comes with a major responsibility and risk to completely turn off your show audience to your show fast. If insertion targeting is done correctly with the right host read content production, it fits seamlessly and drives the full ROI potential for a brand to port its radio advertisements onto podcasts, dynamic insertion can work as it has for a growing number of podcast shows and networks. It is still early though and the process is not yet being done correctly by most using the technology today. Great show gentlemen. Thanks for replying to my comments. If celebrities get popular with podcasting, do you think new people would stand a chance? A few people wouldn't do pre recorded. They want to call in live. I don't see their point. Any feedback for that? Live is interesting as a way to connect with listeners at a deeper level. Agree, to each his own on this Live vs On Demand choice. I like pre recorded VS live because there is more room for editing out mistakes and no calls. Thank you for listening today! Please give us your comment here. Getting to listen LIVE for the first time. YEAH!!! !